In this post I’d like to add to or update some of the pervious postings. 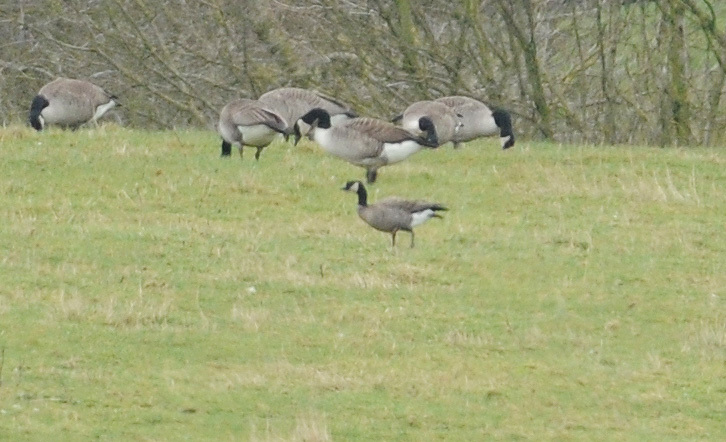 Chris Chapleo kindly sent me photos of some of the birds we saw on 24/02/12 on our Yellowthroat twitch to Gwent. 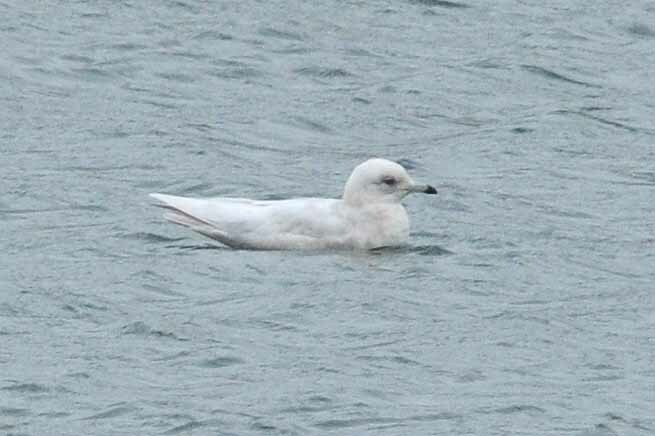 On our return we stopped at Torr reservoir in Somerset and by using a 2 times converter Chris was able to get better shots of the Cackling Goose and the Iceland Gull than I did. Excellent photos of the Common Yellowthroat as well as the Paddyfield Warbler and Parrot Crossbill that I saw in West Sussex on 5/2 and 18/2 respectively can be seen in the recent edition of Birding World which arrived today. There is a good discussion on the provenance of the Parrot Crossbill as well as some excellent photos of that most spectacular of falcons, the Gyr. On 6/3 well as seeing the Goshawks at Acres Down I also heard a Lesser Spotted Woodpecker, but extensive searching of the woodland below the lookout failed to produce a sighting. I am happy to include ‘heard onlys’ on my year list if I have to but would prefer to see the species concerned if possible. ….. and finally I was amused when I called in at the farm shop at Acres Down to buy some lunch. The lady there, realising I was a birder complained that ‘all these Goshawks’ had scared the Blackbirds from her lawn and eaten all the Dartford Warblers’. I can hardly imagine a huge Gos diving into a thick gorse bush for such a tiny morsel as a Dartford! I pointed out that Goshawks, Blackbirds and even Dartfords exist side by side on the continent and have done so for millenia, that Goshawks main food is pigeons and corvids and I see no shortage of those, and that the Blackbirds were feeding in the forest not her lawn due to the mild winter. Some people have no idea of a predator / prey relationship and how the presence of a top predator like a Goshawk is beneficial for the ecosystem as a whole. I also had good views of Wood Lark in song flight and on the ground in the New Forest. My photos from Black Down in West Sussex on 18/2 were too dark so I have repeated them here.